There are two new cats in my extended family, and I was reminded that they did not have stockings for the Christmas holidays, like all the others cats before them have. 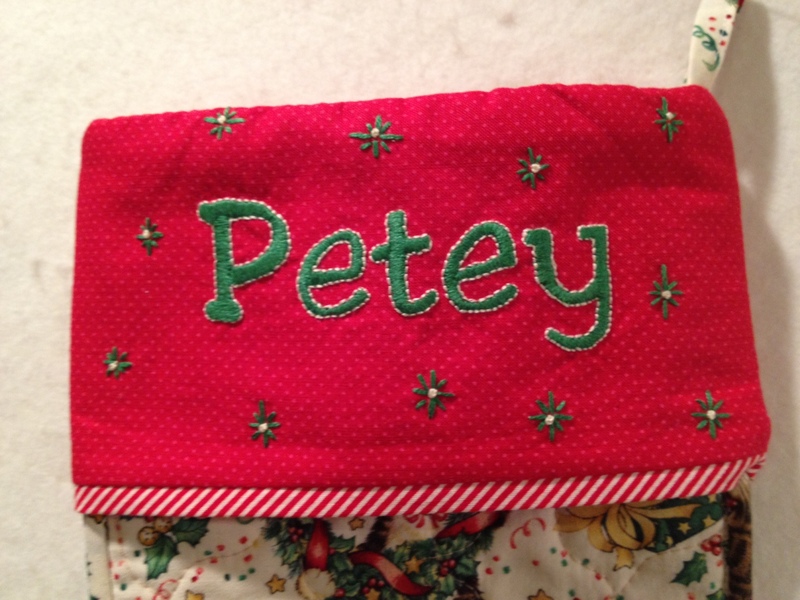 Eager to remedy that situation, I made these two stockings. 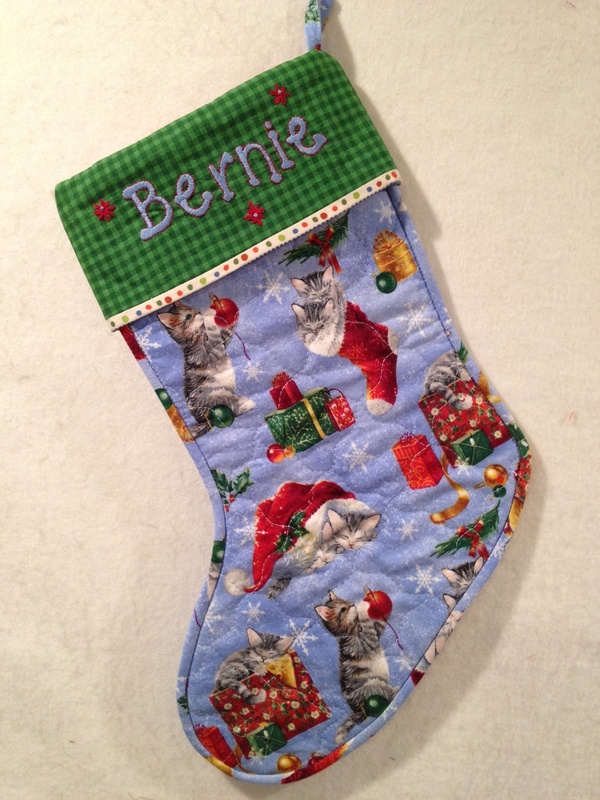 I have always had fun making stockings, and these were no exception. 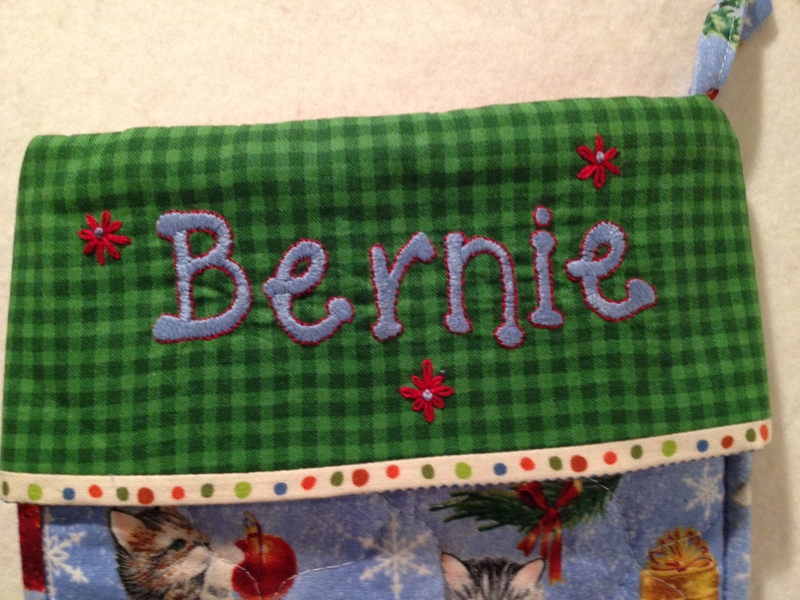 My quilting mini-group members asked me how I got my machine to do the stitching of the names, and I had to brag that it was all done by hand, perhaps my favorite part. 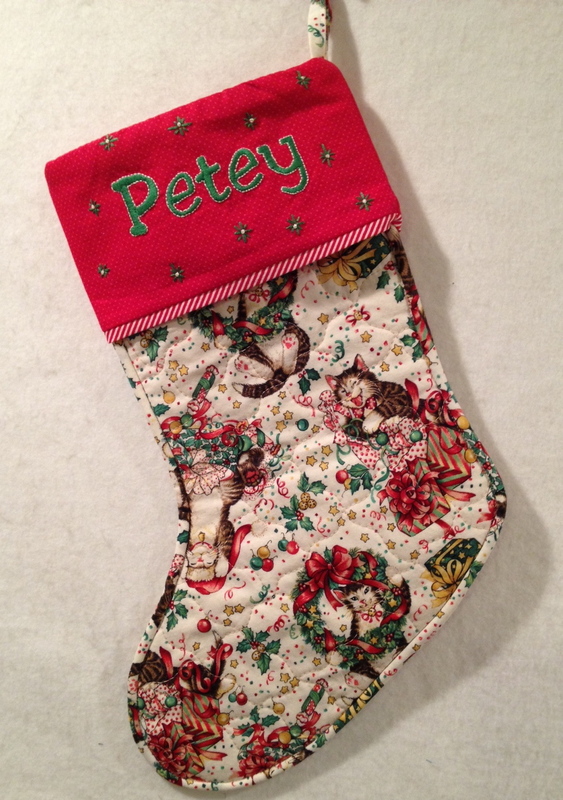 To see some of the previous stockings click here. I hope the Florida kitties will still enjoy theirs.